In 2013, China launched an ambitious foreign policy initiative to strengthen its trade links with countries lining six land and two maritime corridors – the Belt and Road Initiative (BRI). In 2016, President Xi Jinping called for the BRI to be “green, healthy, intelligent and peaceful”, going on to say participating countries should “deepen cooperation in environmental protection, intensify ecological preservation and build a green Silk Road”.1 We welcome this approach by China’s leadership. WWF is active in 33 of the 64 BRI countries. In September this year, several of these offices met to discuss further work on greening the BRI. As well as the core projects building transport infrastructure, chiefly railways, ports and fibre optic connections, BRI will open up locations for economic development and stimulate investments in extraction, electricity generation, shipping and commerce. Infrastructure development can generate enormous economic benefits, but if it isn’t planned carefully, it can have unintended, negative environmental consequences. We undertook2 a spatial assessment of the possible impacts of BRI on habitats. The diagram below shows WWF’s assessment of the possible severity of effects along the corridors. 1State Council Information Office of the People’s Republic of China (23 June 2016) President Xi calls for building 'green, healthy, intelligent and peaceful' Silk Road [Online] http://www.scio.gov.cn/32618/Document/1481477/1481477.htm. 2A biodiversity hotspot is a biogeographic region with significant levels of biodiversity that is threatened with destruction. 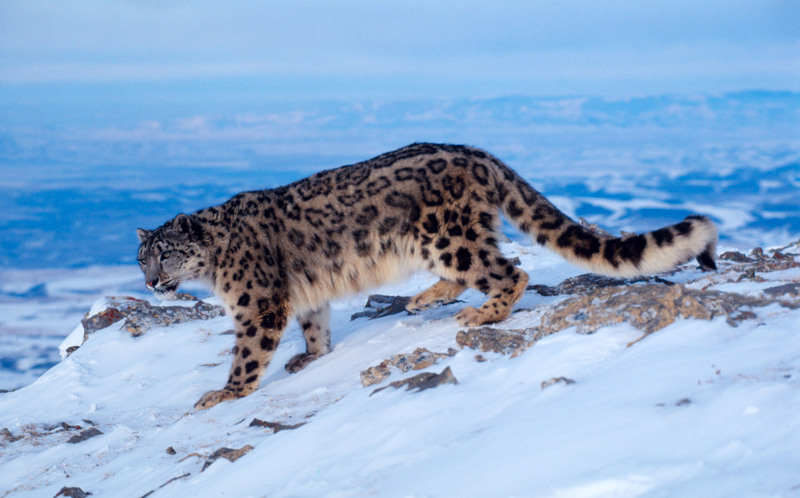 The Global 200 (G200) is the list of ecoregions identified by WWF as priorities for conservation. An Important Bird and Biodiversity Area (IBA) is an area identified using an internationally agreed set of criteria as being globally important for the conservation of bird populations. IBAs are identified by BirdLife International. The Key Biodiversity Areas (KBA) approach helps to identify and designate areas of international importance in terms of biodiversity conservation using globally standardised criteria. KBAs extend the Important Bird Area (IBA) concept to other taxonomic groups and are now being identified in many parts of the world, by a range of organisations. 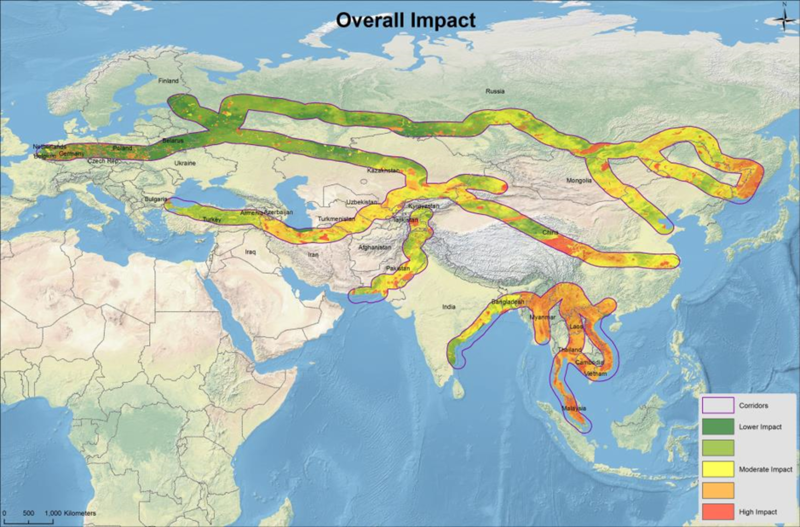 We found BRI corridors overlap with the range of 265 threatened species including saiga antelopes, tigers and giant pandas; also, BRI corridors overlap with 1,739 Important Bird Areas or Key Biodiversity Areas and 46 biodiversity hotspots or Global 200 ecoregions. WWF has made important recommendations3 to the Belt and Road Forum to minimise the negative consequences of BRI projects. Recommendations include, projects should be planned and implemented using the framework of the UN Sustainable Development Goals, and China’s own philosophy of ecological civilisation. It is also important where possible to direct investment towards ecological infrastructure and renewable energy. More parochially the BRI is important for Hong Kong. The government has identified that Hong Kong is well placed to provide professional services such as arranging the finances, setting up legal entities and supplying other technical services to BRI projects. This, in theory, could provide Hong Kong people with exciting opportunities – especially in finance and professional services – to green the Belt and Road. We welcome opening up this debate.